A new shipment of Russian-made Sukhoi Su-35 multirole fighter aircraft soon to be delivered to China will be fitted with onboard readout systems that display data in Russian. The onboard systems of the military aircraft which are expected to be delivered to China by the end of the year will be essentially configured the same way as the warplanes supplied to the Russian Aerospace Forces. While the Su-35 aircraft exported to China will be fitted with BeiDou onboard navigation system modules, all of the planes’ readout systems will be displaying data in Russian. 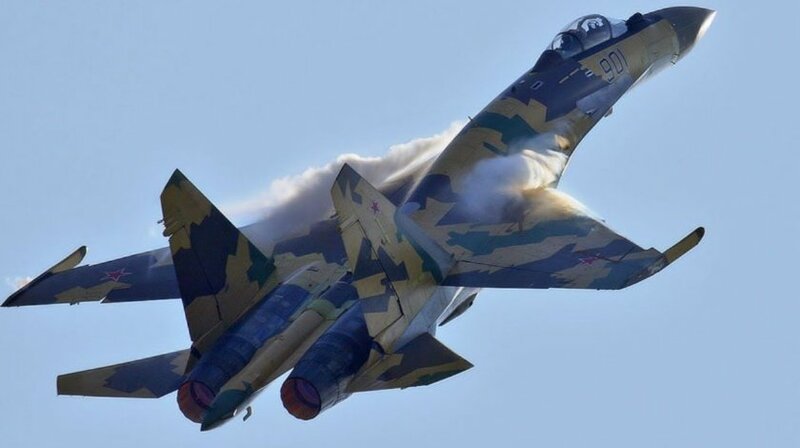 Givi Janjgava, Deputy CEO of the Radio-Electronic Technology Concern (KRET), a Rostec subsidiary, told Russian newspaper Izvestia that the decision to supply Su-35 aircraft to China in this particular configuration was made by the customer. “Adapting onboard systems in accordance with our customer’s national specifications is one of the most important technical procedures. We spent the entire year translating all data readout systems in the cockpit into Chinese. However, unlike Cyrillic and Latin inscriptions, hieroglyphics are hard to read from LCD screens. Therefore, the Chinese side requested that we leave everything ‘as is’, considering that PLA pilots already have experience in flying Russian Su-27s with cockpits not adapted for China, and learned to ‘read’ onboard information in Russian,” Janjgava said. He explained that Su-35 features a glass cockpit, with LCD screens replacing traditional analog dials and gauges. However, data presented on Su-35 screens in Chinese hieroglyphs is too small and blurred to be legible. While the problem could have technically been solved by installing bigger displays, it would have essentially required remodeling the entire cockpit thus requiring additional funding and more time for testing and development. Therefore, after considering the situation and consulting with PLA pilots, the Chinese side decided to leave things as is, and use the Russian ‘configuration’ of the aircraft without any alterations. Russian Aerospace Forces currently employ 48 Sukhoi-35S multirole fighter aircraft. However, due to the aircraft’s exemplary performance during the airborne campaign in Syria, Russian military decided to requisition 50 additional warplanes of this type. At the present time, China intends to receive 24 Su-35 fighters.